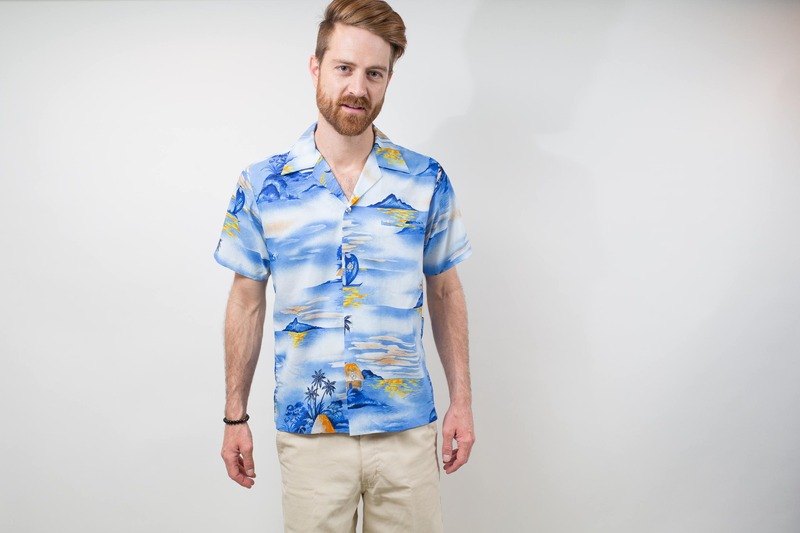 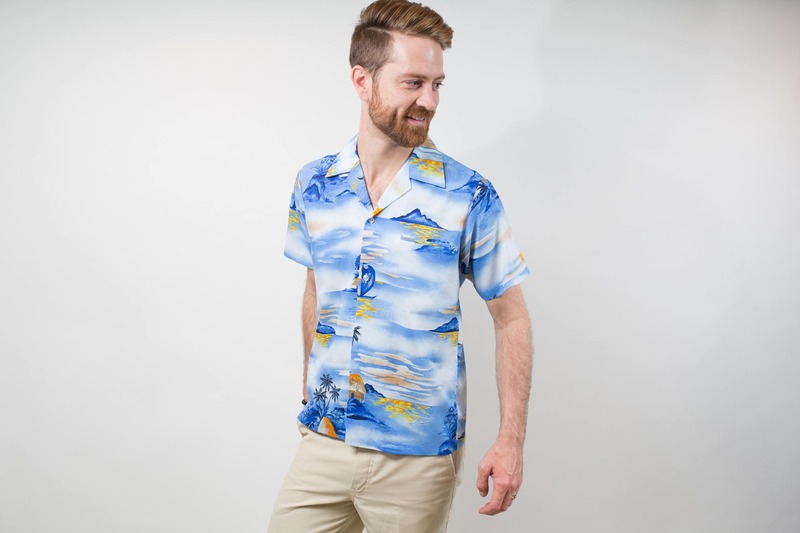 This is a very cool vintage mens medium size Hawaiian shirt. 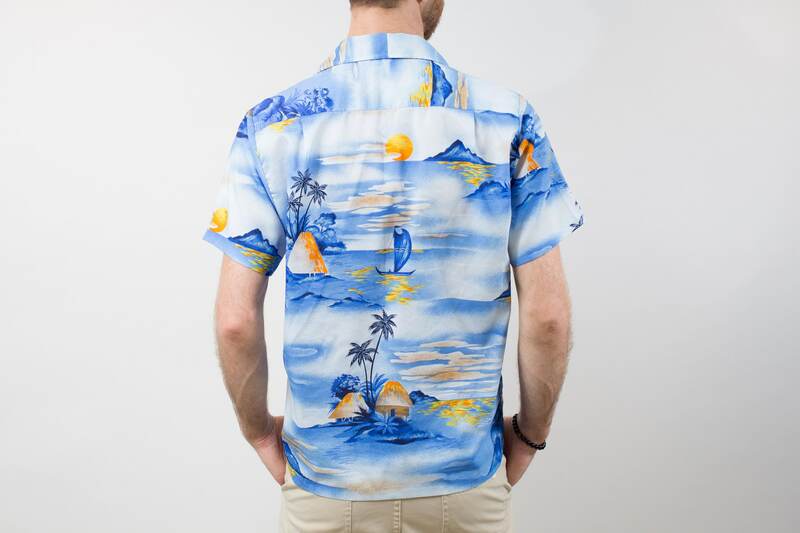 It's a great beach day shirt and has a funky pattern throughout with huts, palm trees, sailboats, etc. 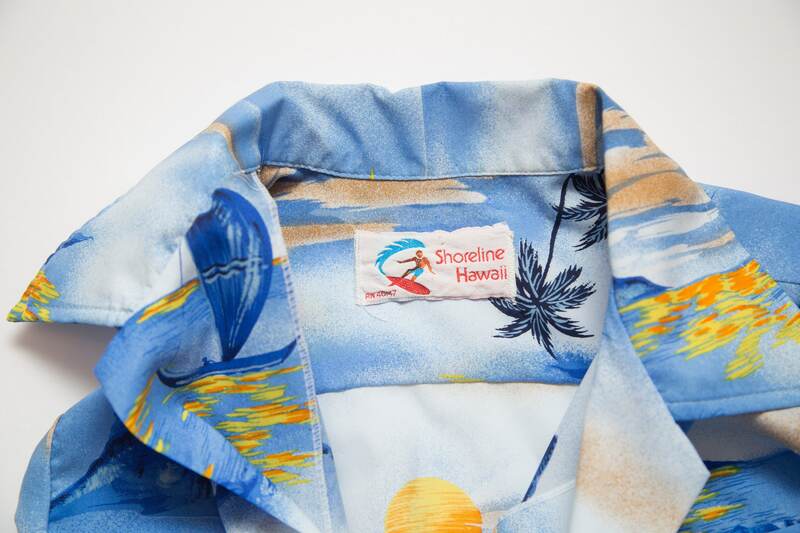 It is made by a brand called Shoreline Hawaii. 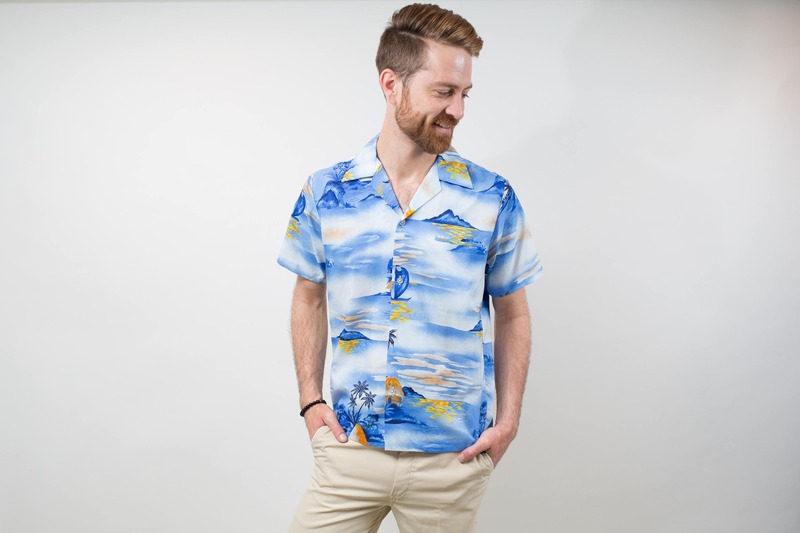 Super fun and on trend!